Parallels Desktop for Mac is the most tested, trusted and talked-about solution for running Windows applications on your Mac. With Parallels Desktop for Mac, you can seamlessly run both Windows and Mac OS X Lion applications side-by-side with speed, control and confidence. Setting up Parallels Desktop for Mac is easy. Bring all your PC programs, documents, photos, music and browser bookmarks to your Mac, then run them all like they were made for your Mac. It’s the best of both worlds on one desktop — without rebooting. Experience as much or as little Windows as you want. Multiple view modes make it possible for you to customize the level of integration between Mac and Windows without compromising performance. 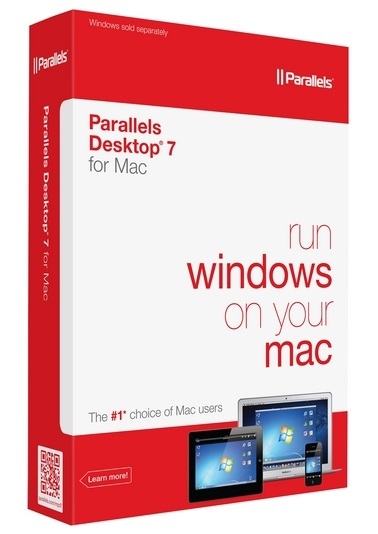 Resolves an issue with installing Parallels Desktop in Mac OS X Leopard 10.5 or later. Resolves an issue with opening third-party virtual machines in Parallels Desktop. Resolves an issue with managing Mac computers running OS X Mountain Lion via Parallels Mobile. The power saving option is now available for new MacBook Pros (mid 2012) and MacBook Pros with Retina display.